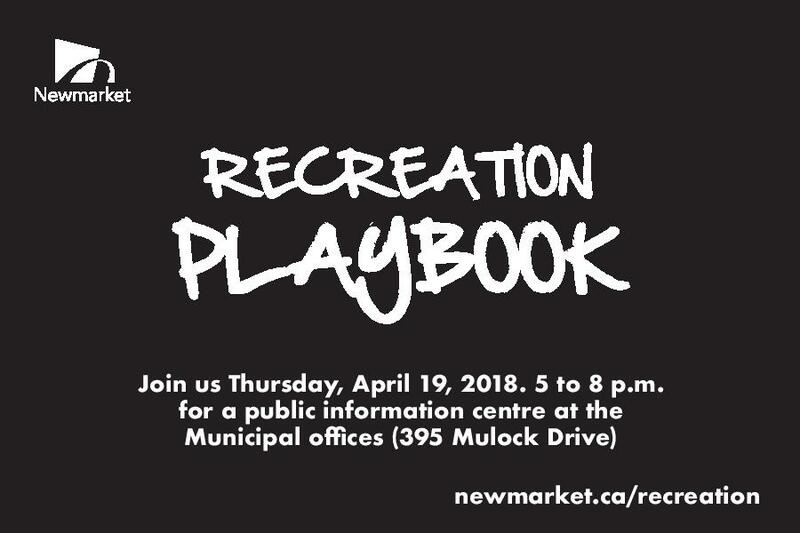 Come out and give us your feedback on the vision for Newmarket outlined in Newmarket’s Recreation Playbook and the future growth and intensification outlined in the Secondary Plan. Your input is needed for amenities such as a skate park, splash pads, park improvements and arts and culture opportunities, along with the Yonge and Davis corridors. Staff from various departments across the organization will be available to speak with residents, answer any questions and listen to feedback. Location and time: Newmarket Municipal Offices (395 Mulock Drive) on Thursday, April 19 from 5 to 8 p.m.
recommendations falling under three specific themes: Service Delivery and Community Engagement; Facility Improvement and Development; and Pricing Philosophy and Affordable Access. The most significant development in this area has been the implementation of a town-operated fitness centre at the Magna Centre, which has been extremely successful. A number of other recommendations have also seen significant progress including development of an artificial turf field in partnership with York Regional District School Board, to be opened in 2018; expansion of shared use schools with new agreements for use of four different schools during the summer months; design of a spray pad to be located at Frank Stronach Park with anticipated opening in 2018; selection of site in Ward 6 for a spray pad with design and consultation to occur in 2018 with construction in 2019. The Ward 6 Splash pad vision is a Farm Theme and will be located at Dr Margaret Arkinstall Park next to Terry Fox Public School. An Outdoor Skate Park has been in the works for awhile now, and I am happy to report it is COMING SOON! Some potential locations could be at Magna Centre near the lower entrance. We are looking to the public for their ideas. There is a confirmed date of April 19th for the public to learn and provide input. SAVE THE DATE Thursday April 19, 2018 5 - 8 pm. The Shoes Have Been Filled!